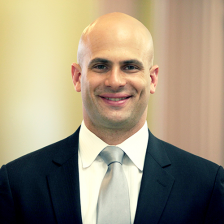 Contact Chef Sam Kass at the White House about Overuse of Antibiotics! We’re working with Pew Charitable Trusts to ask chefs and food professionals to sign onto a letter to Chef Sam Kass, Executive Director of Let’s Move! and Senior Policy Advisor for Nutrition Policy at the White House about overuse of antibiotics in farm animals. Click here to view the letter and add your name. Sam Kass has demonstrated a deep commitment to creating a more sustainable and healthy food system and we’re urging him to support much-needed policies to rein in the overuse of antibiotics in food animals and ensure that these drugs remain effective for future generations. We believe that antibiotics should only be used to treat sick animals, not to compensate for unsanitary conditions or make animals grow faster. The cost of these farming practices to public health is too high. At a minimum, President Obama and his administration should swiftly finalize policies drafted by the Food and Drug Administration to end the most egregious misuses of antibiotics and expand veterinary involvement in their use on the farm. Click here to read the letter, and add your name.